From £530.00 to £795.00 per person, depending on the itinerary selected (see ‘The Walk’ tab above). Based upon two people sharing. 7 to 11 nights nights B and B, luggage transportation, guidebook and maps, transfers where mentioned in programme, back-up service. 9 nights to include B and B (hotel in Birdlip, may incur supplement), route instructions/map, luggage transportation: £710.00 per person. Walk Chipping to Winchcombe – 17 miles. Overnight in Winchcombe. Walk Winchcombe to Leckhampton Hill – 15.8 miles. Overnight in Dowdeswell or Cheltenham. Walk Leckhampton to Painswick – 14.2 miles. Walk Painswick to Uley or Dursley – 13 miles to Uley, 15.5 miles to Dursley. Overnight in Uley or Dursley. Walk Dursley to Old Sodbury – 16 miles. Overnight in Old Sodbury. Walk Old Sodbury to Bath – 18 miles. Overnight in Bath. Depart from Bath after breakfast. 7 nights to include B and B, route instructions/map, luggage transportation: £530.00 per person. Walk Chipping Campden to Winchcombe – 17 miles. Overnight in Winchcombe. Walk Winchcombe to Leckhampton Hill – 15.8 miles. Overnight Dowdeswell or Cheltenham. 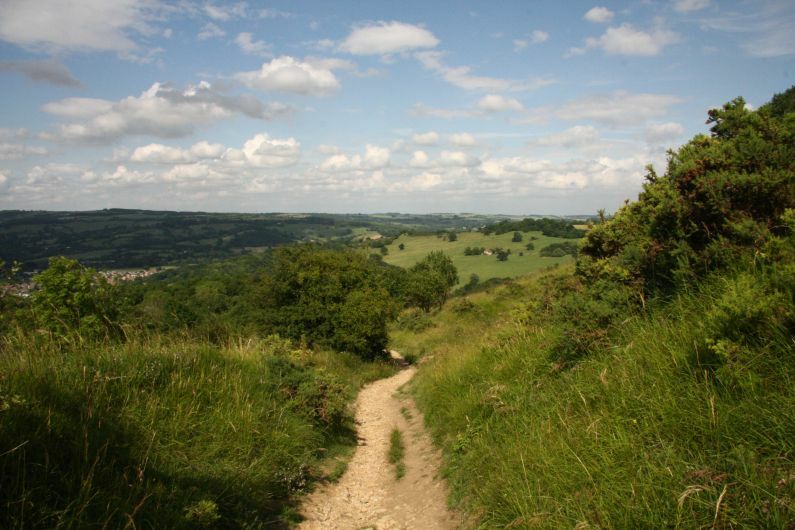 Walk Painswick to Uley or Dursley – 13 miles to Uley, 15.5 miles to Dursley. Overnight Uley or Dursley. Walk Dursley to Hawkesbury Upton – 15 miles. Overnight Hawkesbury Upton. Walk Hawkesbury Upton to Cold Ashton – 13 miles. Overnight Cold Ashton. Walk Cold Ashton to Bath – 10 miles. Overnight Bath. 8 nights to include B and B (hotel in Birdlip), route instructions/map, luggage transportation: £630.00 per person. Walk Leckhampton to Painswick – 14.2 miles. Overnight Painswick. Walk Painswick to Uley – 13 miles . Overnight Uley. Walk Uley to Wotton-under-Edge – 10 miles. Overnight Wotton-under-edge. Walk Wotton-under-Edge to Hawkesbury Upton – 8 miles. Overnight Hawkesbury Upton. Walk Leckhampton to Birdlip – 10 miles. Overnight Birdlip. Walk Birdlip to Painswick – 7 miles. Overnight Painswick. 10 nights to include B and B (hotel in Birdlip), route instructions/map, luggage transportation: £770.00 per person. Day 1: Chipping Campden overnight. 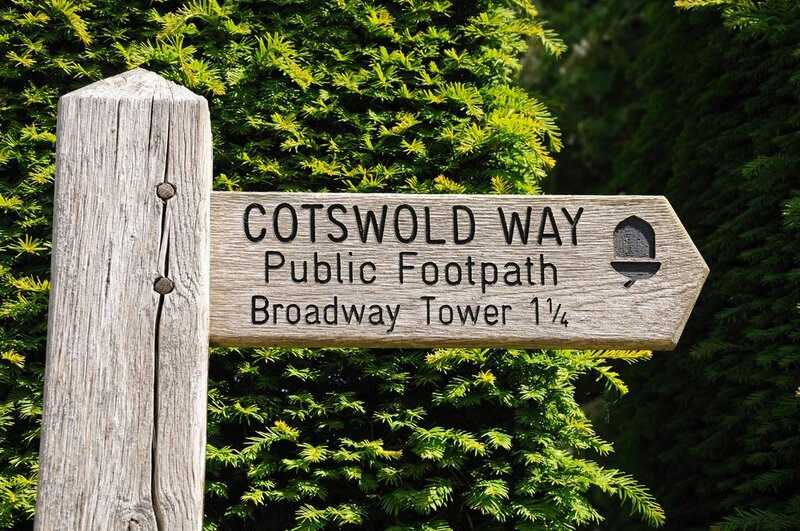 Walk Chipping Campden to Stanton – 10 miles. Overnight in Stanton. Walk Stanton to Winchcombe – 7 miles. Overnight in Winchcombe. 11 nights to include B and B (hotel in Birdlip), route instructions/map, luggage transportation: £840.00 per person. A mix of B and B, pubs and small hotels, with private bathrooms. Up grades are possible along the route – please ask and we can advise on what is possible and the additional cost involved. From Bath, Bristol is the nearest airport. Birminham and London Heathrow are also easy to get to.